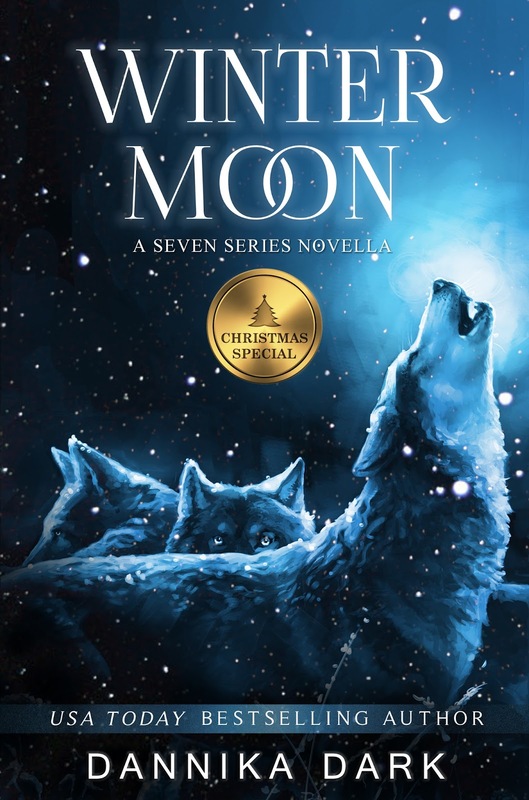 Happy Book Birthday to WINTER MOON! Hi there! I’m spreading the word on a new Christmas-themed paranormal romance from Dannika Dark. WINTER MOON has the Weston wolf pack a bit down, but getting ready for the holidays. The Weston pack waited until the last minute to prepare for Christmas. Spirits are low, and now they’re in a scramble when a freak snowstorm knocks out the power. Despite bickering among packmates and the threat of rogues, the family is determined to make this a memorable Christmas. But when an important family member goes missing, the pack is galvanized into action. Time is running out, and the temperature is dropping fast. THE SEVEN SERIES is a paranormal romance that portrays Shifters living in secret in the modern world. A blend of humor, heartwarming romance, drama, and real-life issues. This series is for those who believe in family, second chances, and finding that person who completes you. “I thought it was my six-pack.” His eyes glittered with amusement as he looked down at her with pure adoration in those coffee-brown eyes. Reno was a big guy with a tough demeanor, but he had a heart of gold beneath that macho exterior. He could melt her heart with a single glance, and he was thoughtful in ways that most men weren’t. Catch up with Danni on her website, Goodreads, Facebook or twitter, or sign up for her newsletter.